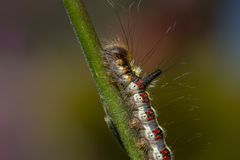 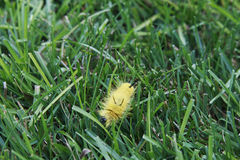 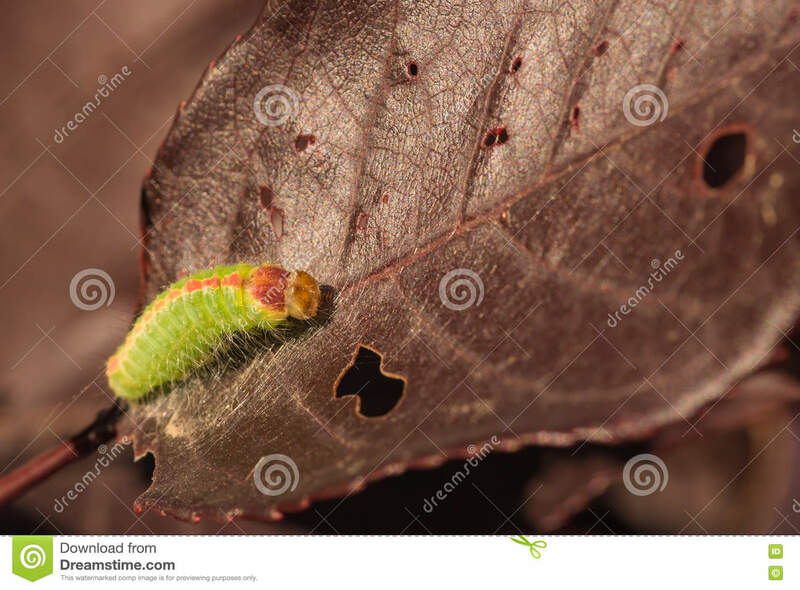 Macro of Dagger Moth Caterpillar. 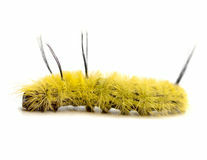 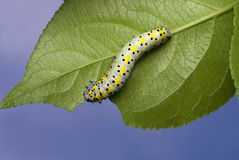 Side view of a speared dagger moth caterpillar as it begins to spin it cocoon. Focus on head.